If you’ve hired a contractor for a home renovation, rest assured that this professional will get to know you really well. After all, he could be inside your home for weeks or even months, and you two will have lots of quality back-and-forth over what types of tiles, colors, and fixtures best float your boat. As a result, contractors gain an intimate knowledge of who you are—and let’s just say that you aren’t always at your best when stressing over which shade of white to paint the cabinets, or the fact that your home has morphed into a demo zone you’re dying to be done with already! But remember—contractors are on your side, so it’s within your interests to keep this relationship cordial. In case you’re wondering what your contractor might think but not say to your face, here’s a sneak peek from some home pros who were willing to spill the beans. Also, designers can work with contractors directly to be much more efficient and ensure everything is ordered at the right time. Homeowners often assume contractors aren’t working all that hard, and that’s why projects end up taking longer—and going over budget. But that’s rarely the case. More often than not, in fact, delays might be due to you—and how you hadn’t selected all your components quickly enough so they’d arrive in time. “If you spend the time to pick out all the selections for your job in advance, like your fixtures and appliances, tile, stone, and flooring, your project will get done twice as fast,” says Dan Bawden, contractor and remodelers chairman of the National Association of Homebuilders. Because as much as you want this contractor out of your home and life, you also want a stellar renovation, right? Ference, Audrey. 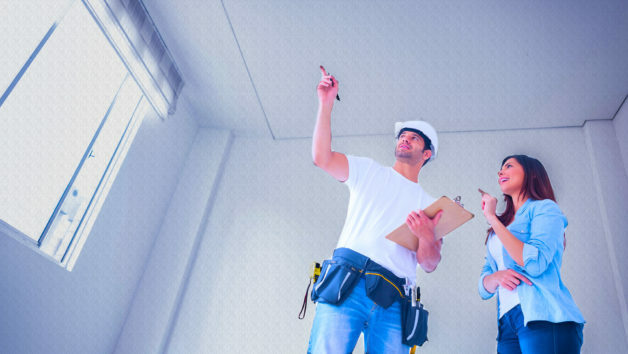 “6 Secret Thoughts Contractors Have About Your Precious Renovations-Revealed>.” Real Estate News and Advice | Realtor.Com®, Realtor.com, 23 Aug. 2017, www.realtor.com/advice/home-improvement/secret-thoughts-contractors-have-about-your-renovations/. Accessed 28 Aug. 2017.